A vCard is in essence, an electronic business card. vCards are a fast, easy way to transfer your relevant contact details to another person, using a standardized format that is recognized by all relevant medias today: computers, smartphones and tablets. Your vCard will contain all the information that you consider vital such as your name, address, numbers, and URLS and it also has an extensive array of graphics, photos and logos that you can use to personalize your data. 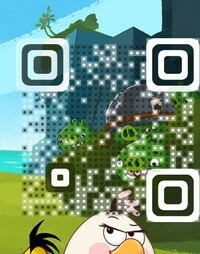 So what do vCards have to do with QR Codes? Everything! Today, all you have to do in order to transfer your contact information to another person is simply send him your vCard and the simplest way to do that is through a QR Code. The second the other person scans your QR Code, your vCard will automatically be saved in their phone, creating a contact in their address book that contains all your details. It’s important to understand that a Vcard isn’t designed to replace a business card but to enhance its usability and using a QR Code is the most intuitive way to do that. Placing a QR Code that referenced your Vcard on your business card immediately upgrades your business card in the sense that it exemplifies your recognition and familiarity with the most cutting-edge technology in use today. QR Codes are perceived as an up-to-date, original way to transfer all kinds of information, including vCards and the presence of one on your business card associates you with the newest, most popular technology prevalent today on the market. We all know how essential design is to marketing and designing your business card in a proficient manner is imperative if you want it to promote you successfully. Your business card will represent you to whomever you give it to and as such, it’s critical that it do so in the best, most flattering way. Aside from containing useful information, your business card should also be unique, striking and unforgettable so that it leaves a favorable impression of you in people’s minds. But despite their usefulness and inherent innovative status, QR Codes are identical, standardized and boring in their appearance and they manifest as an unattractive cluster of black and white dots that repel most tech-averse people. So how do you add a QR Code to your business card without damaging its appeal? Simple – use a Visual QR Code! With Visualead’s QR Code generator technology, you can merge the QR Code containing your vCard into any image that you choose, instantly elevating your QR Code from the endless mass of indistinguishable squares to an eye-catching, vibrant call-to-action that appeals to the beholder, associates you with an image of your choosing (such as your company logo) and still manages to convey a sense of tech-savvy and innovation. When using a Visual QR Code you succeed in utilizing the best advantages that a QR Code has to offer you without having to compromise on design and attractiveness, and nowhere is this as important as on your business card. A Visual QR Code directing to your Vcard is the perfect way to express your vitality and creativity to all your potential customers or employers. Not only is it inviting in appearance and impressive in demeanor, your Visual QR Code can also be utilized in many different ways in order to enhance your Vcard. Because our technology offers you the opportunity to continuously update your QR Codes’ destination even after its creation, you can continue to update and improve your vCard, adding to or simply changing the details that are stored there. In addition, we have the ability to create Visual QR Codes on a large scale, perfect for printing out a large number of business cards. And if you want to further track your vCard’s progress, you can retrieve analytics from our site that allow you to follow up on the places where your Visual QR Code was scanned the most, how many times it was scanned and so forth. This can be incredibly useful when you are assessing your vCard’s circulation. Today, with so much competition around us, you have to differentiate yourself from the crowd in order to make an impact and leave a memorable impression in other people’s minds. Nowhere is this more critical than during the delicate process of transferring your business details to a potential employer or customer. Use our technology to create a Visual QR Code that symbolizes your energy and versatility and makes sure that people see you the way you really are – fresh, vibrant, and exceptional! Spice up your business card with an attractive, unique and unforgettable Visual QR Code and the results won’t hesitate to follow. With a Visual QR Code, the potential and power behind your vCard are limitless.